DEI Floor and Tunnel Shield was designed to withstand direct temperatures up to 1750°F. Because of it’s unique material, it is capable of insulating against unwanted road noise up to 50%. Constructed utilizing an embossed 10 mil aluminum face bonded to a 1/8” composite fiberglass insulation, Floor and Tunnel Shield is backed with an aggressive adhesive that holds past 450°F. Only 3/16” thickness it requires minimal clearance and can be shaped and trimmed for a custom fit. 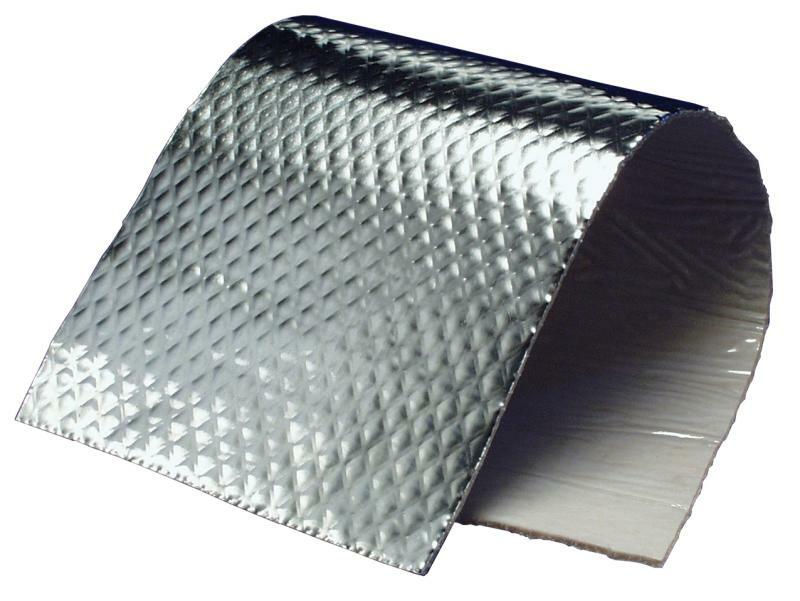 Floor and Tunnel Shield provides the optimal way to reflect heat away from vehicle components and perfect for protecting under hoods, firewalls, fuel cells, exterior areas such as floor tunnel, floorpans and other under-vehicle locations.